Nat Geo is making its first foray into scripted show territory with Genius, an anthology series from Ron Howard and Brian Grazer that will highlight a different brilliant mind each season. 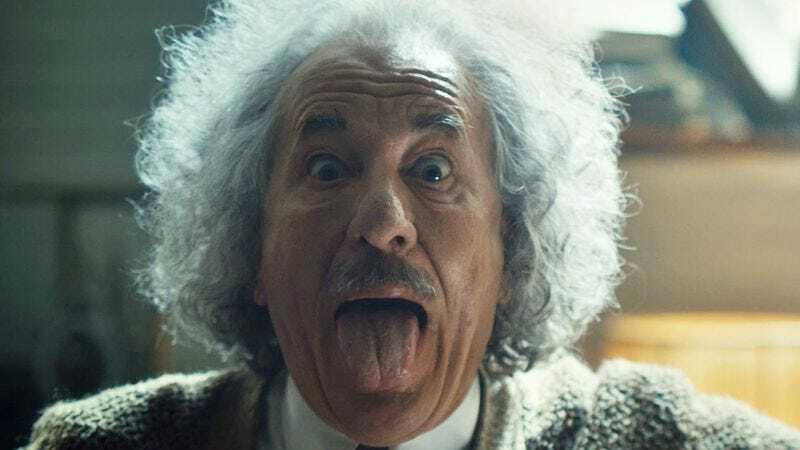 The first installment, which premieres April 25, will feature Geoffrey Rush as Albert Einstein, or rather, show how “Albert became Einstein.” The first season is based in part on Walter Isaacson’s Einstein: His Life And Universe; Johnny Flynn will play the younger version of the theoretical physicist, or the “Albert,” as it were. We’ll also get to see Emily Watson play Elsa Einstein, Albert’s second wife and first cousin. If this all sounds like a good, somewhat inappropriate time, you’ll be happy to learn that Nat Geo has gone ahead and renewed the series. According to Deadline, the brilliant subject of season two will be revealed in the season one finale on June 20. We assume this means we’ll see Bohr-Einstein debates, where the two geniuses will fist bump shortly before the story switches over to Niels Bohr’s point of view.